Quicksand is never in one place. It keeps moving from day to day. Quicksand is a mushy mix, which is the result of over saturated sand, in which friction between the particles is so reduced it can no longer support any significant weight. Sand when it becomes like jelly it’s a tell tale sign of quicksand. It was Bruce Lee’s birthday yesterday. 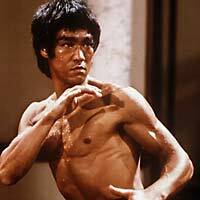 Bruce Lee (27 Nov 1940 – 20 Jul 1973) was an American-born Chinese or in short we call as ABC. He was born to a Chinese father and Chinese German mother. He is known as one of the most influential and famous martial artist of all time, still widely remembered by all until now. He was an actor as well as an instructor. He was also the father of the Jeet Kune Do and the originator of the Jun Fan Kickboxing. Bruce had acted in a variety of movies in US since he was baby. His last few movies include The Big Boss (1971), The Fist of Fury (1972), Way of the Dragon (1972) and Enter the Dragon (1973).